Where the things come from we learn at museums? My article "How a Museum Knows? Structures, Work Roles, and Infrastructures of Information Work" on information work at museum(s) was recently published in JASIST. The idea and interest to the study is undoubtedly related to that I was at a time working at a museum, but also to my general interest in understanding where the information at an information institution comes from. Read more about Where the things come from we learn at museums? A new book chapter "Sorting the metaverse out and how metaverse is sorting us out" I wrote on how virtual worlds and metaverse are organising us, is out in the The Immersive Internet: Reflections on the Entangling of the Virtual with Society, Politics and the Economy (Palgrave-MacMillan 2013) edited by Dominic Power (Uppsala University) and Robin Teigland (Stockholm School of Economics). ARKDIS project organises in association with the Swedish chapter (CAA-SE) of the international Computer applications and quantitative methods in archaeology (CAA) organisation and Lund Humanities Lab an international conference/workshop in Lund in December 2-4, 2013. Evaluation, valorisation, appraisal and related judgments of archaeological and other sites and monuments is a tricky question. The Finnish National Board of Antiquities and Archaeology, University of Helsinki organises right now a two day workshop on the topic in Helsinki. The Swedish partner of the ARCHES project, the Swedish National Heritage Board (RAÄ) organised today a workshop on archaeological archives and archiving in Stockholm. The workshop gathered 25'ish participants from the heritage board, National Historical Museums, county administrations and museums and universities -- in the last group me and a colleague from Umeå. Open PhD student position in ARKDIS research project at the Department of ALM (Archival Science, Library and Information Science, Museology and Cultural Heritage Studies), Uppsala University. Application no later than 2013-04-30. UFV-PA 2013/800. Starting date August 1, 2013 at the earliest, latest on January 1, 2014. 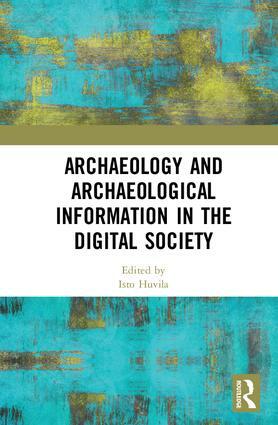 Digitisation of archaeological information and cultural heritage assets has been one of the cornerstones of the digital society debate. However, at the same time when nations have made considerable investments in the digitalisation of archaeological heritage, we know very little about its implications to the usability of archaeological information for different stakeholder groups from citizens to researchers, museum professionals, landowners and property developers. 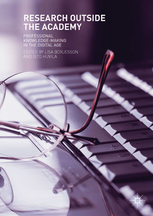 My new book Information Services and Digital Literacy: In search of the boundaries of knowing is out, published by Chandos. From blurb: "Despite new technologies, people do not always find information with ease. Do people still need help in finding the information they need, and if so, why? What can be made easier with new tools and techniques? This year's SIG USE research symposium at ASIS&T Annual Meeting 2012 in Baltimore raised a number of interesting questions on the methods and approaches of information behaviour (needs, use, practices etc.) research. One, is of course precisely that. Erik Champion from Aarhus made a good point by stating that the three threats of archaeological information are storage, dirability and playability in his keynote at the 3rd U21 Digital Humanities Workshop in Lund earlier this week. The observation is well in line with the earlier suggestions that the best way to ensure the preservation of a particular data set is to see that it is being used.